Photos by Rachel Von | The Journal Gazette Junior Tristan DeWitt, left, and senior Noah Yarian are two of the biggest reasons Carroll's swim team looks primed to make a long run this season. Rachel Von | The Journal Gazette Boys and girls teams do laps during practice at the Carroll Natatorium on Monday. Carroll swimmer Tristan DeWitt does the breaststroke during practice at the Carroll Natatorium on Monday. Yarian, who finished second in the backstroke at last year’s state meet, is one of two seniors who will continue their careers at Michigan along with Jack McCurdy. For years, the Carroll boys swim team has been an object in Homestead's rear-view mirror: close enough to be a threat, but rarely able to overtake the Spartans. Homestead has claimed 22 sectional titles since the 1994-95 season, not to mention runner-up finishes at state in 2004 and 2006. The Chargers claimed their first sectional title in 2006-07, a year when the rivals were not in the same sectional, then finally broke through in 2013-14 and 2014-15. Aside from those two years, the results have been identical for more than a decade: Homestead first, Carroll second. Even at last season's state meet, the Chargers finished one spot behind the fourth-place Spartans. “We're just positive, and we feel like we can do it,” said Carroll senior Noah Yarian, who finished second in the 100-yard backstroke at last year's state meet and has committed to Michigan. And though a sectional title would be just the fourth in the program's history, coach John Gibson said his team has its sights set even higher. 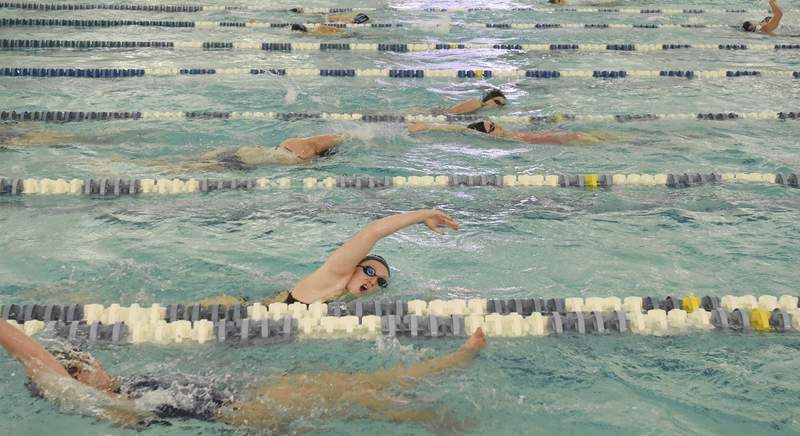 “We've got a number of guys; ... they're not really going to shave or taper for sectionals,” Gibson said, referring to Yarian, Jack McCurdy – also a senior and a Michigan commit – and junior Tristan DeWitt, who took second at state in the 200 individual medley last year. Gibson said the Carroll and Homestead boys teams have been comparable for many years in all but one event. “They've definitely been stronger in diving than we have been,” Gibson said. “They've got an excellent dive club down at Summit Middle School, so they are getting a good feeder program with the diving. The Chargers had a strong diving contender last season in Ethan Hunnicutt, but he was injured in a car crash just before sectionals and was unable to compete. DeWitt said this season has been one of the strongest he's seen during his years with the program. “Consistency throughout all of the meets is probably both of our highlights,” DeWitt said of himself and Yarian. “It's something we've never really done before, is just throwing down some solid times. 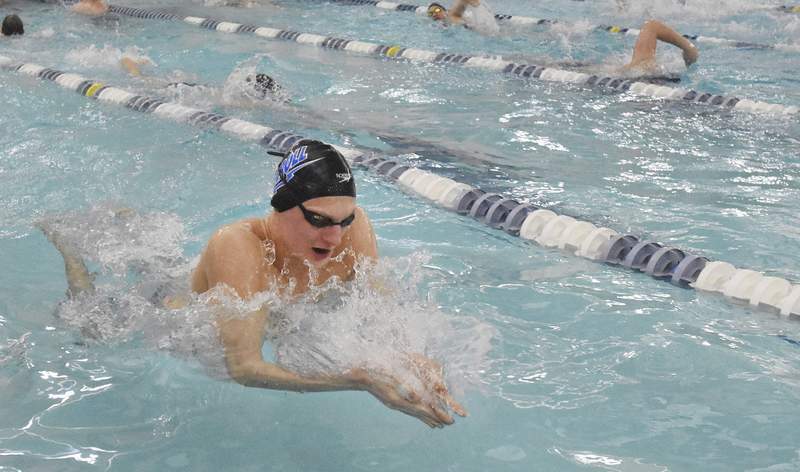 The Chargers beat the Spartans at Northridge on Saturday, but Gibson said there are still improvements to be made: McCurdy is working on his butterfly and backstroke for the 200 IM, in which he finished second in the B final at last year's state meet. The coaches are working with DeWitt on his turns, and Yarian could pick off his longtime opponent, Carmel's Wyatt Davis, if he improves his final turn and finish in the 100 backstroke. The Chargers have had enough of coming in second, or, in the case of the 200 medley relay, third.